You can reset all of the smart speakers in the Google Home family. These include the Original Google Home, the Mini, and the Max. Thus, reset any of these to restore proper operation. This readies the speakers for transfer to another person. Here, we show how to factory reset google home original speaker in the routine given next. First, wait for speaker to boot. After it does, then move on to the next step. 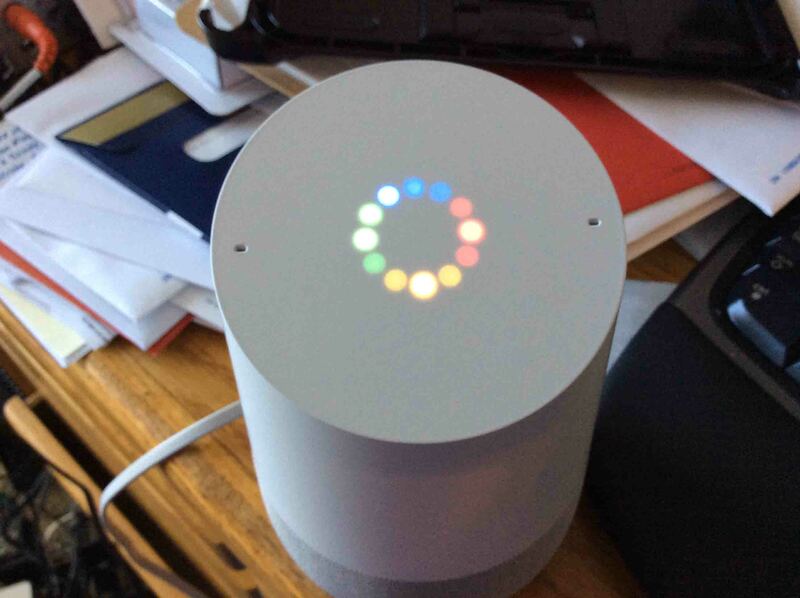 Once the light ring finishes spinning and flashing in its multi-colored way, and goes completely dark after booting, press and hold the Microphone Mute button, located on the back near the top of the Google Home speaker, for approximately five seconds. While holding in the mute button, notice that the ring of lights on the top begin glowing orange. In varying brightness intensities and patterns, these give a visual indication of a countdown to reset that is in progress, as pictured next. Original Google Home smart speaker, about to reboot, It’s showing the orange light ring, meaning that a reboot is about to occur. 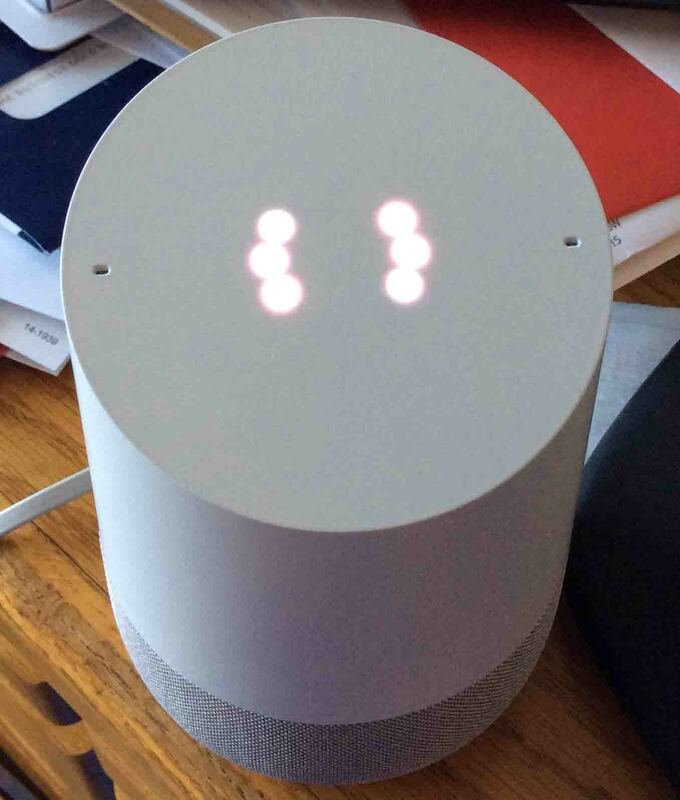 Then, after about five seconds, the speaker says, “You’re about to completely reset Google Home. To cancel, release the button.” Now is the time to release the Microphone Mute button, if you decide not to erase all speaker settings. So this continues with the factory default reset. After a little while, the orange ring goes out. Then, the top turns white in a spinning pattern. At this time, the speaker restores factory defaults, as shown next. 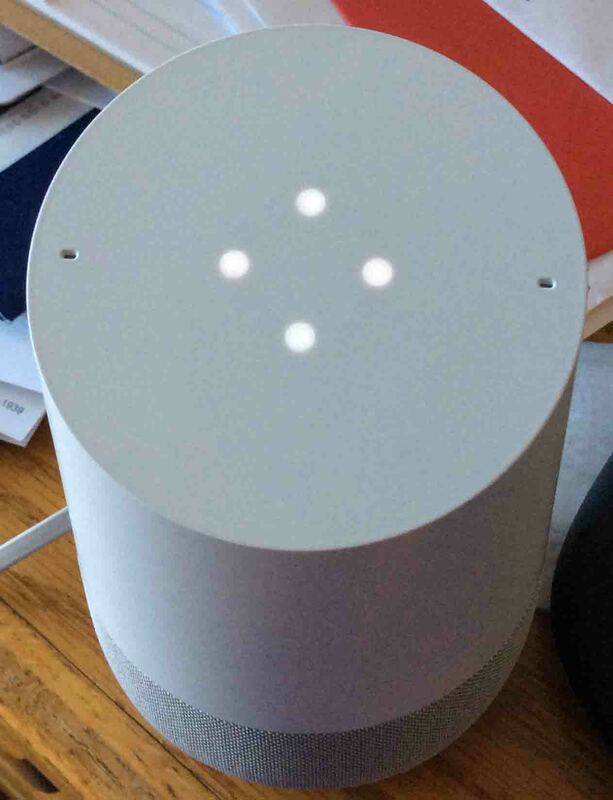 Original Google Home speaker, factory default reset in progress, displaying white spinning light ring pattern. Then after about ten seconds, the speaker top goes dark. Then a system reboot begins, with a multi-colored pattern lighting up, as shown next. The original Google Home speaker, booting. 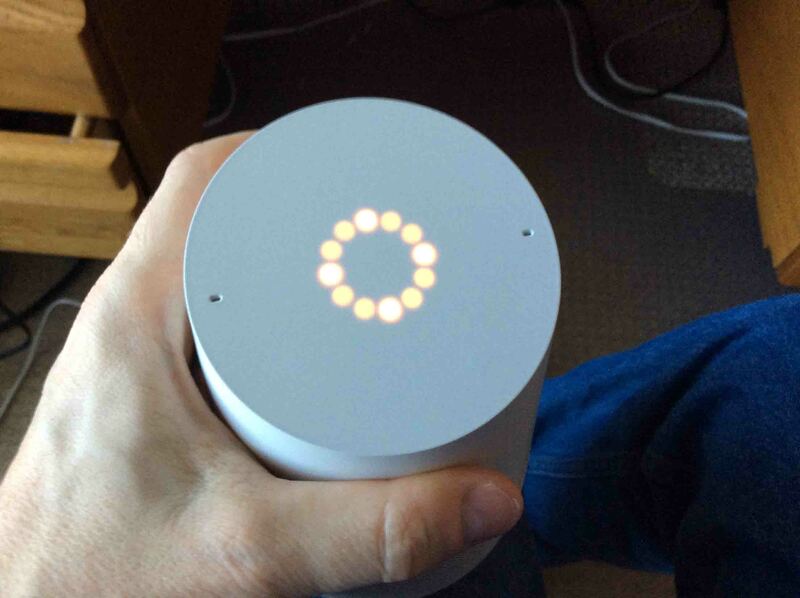 This speaker shows the multi colored light ring, that displays during reboot. Then, the unit goes into setup mode, which means that the unit is now ready to accept setup directives from the Google Home App. The speaker indicates this by displaying the four white blips in the light ring in a gradually dimming and then brightening pattern, as shown in the next picture. The original Google Home speaker in setup mode. It is showing four white dots that mean setup. Feel free now, to give your Google smart speaker to another without fear that they’ll have access to the settings or other personal information on your Google account. Or, you can then set it up again on your Google account, perhaps with a new Wi-Fi network or device name. Then, the light ring turns white with the four dots glowing, meaning setup mode. The unit then stays in setup until you run the setup routine. Note that the speaker will not work until set up and linked to a Google account. Finally, for more details, see our post: How to Reset Original Google Home Smart Speaker to Factory Default State. 2019-03-19: Shortened post URL and meta description, and fixed some typos. 2018-04-16: Revised title and post content for better keyword targeting.